I realize there's been a lot of Humble and Fred Radio podcast content lately, but this project is only only a couple of weeks old and has already been one hulluva ride. 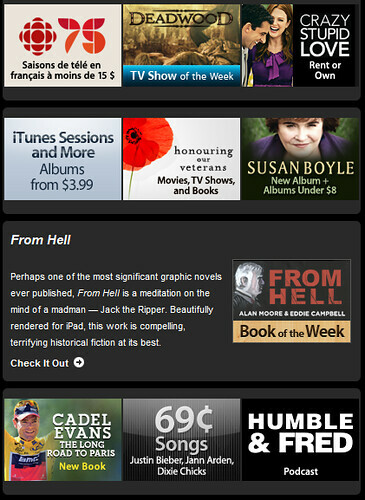 If you got your iTunes newsletter this month, you saw our little podcast featured alongside Susan Boyle and Deadwood. (insert joke here) Here's a screen cap. 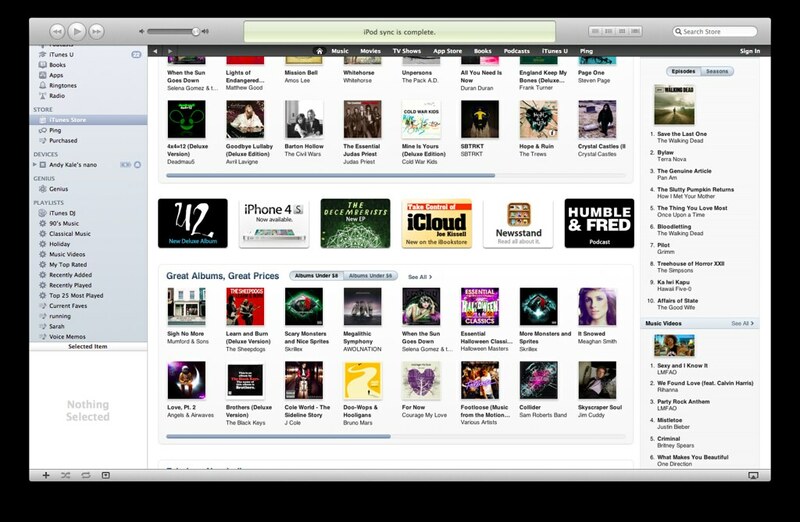 And, the Humble and Fred Radio podcast is also featured on the main podcast page for iTunes. Here's how that looks. Click to embiggen. Meanwhile, the boys have been all over the msm, appearing on Canada AM this morning and the new Global morning show last week. Not to mention Prime Time Sports and the Toronto Star... like I said, it's been a fun ride. And if you actually want to read more about this project, as well as other Humble and Fred stuff from the past, visit https://www.torontomike.com/humble_howard/. I've got to admit, I was never an avid H&F listener when they were on the radio, but I've been enjoying their podcast. I can feel the vibe and excitement of blazing a new trail. It was the same vibe and excitement I felt when Carolla got fired and started his podcast a few years back. The difference is, I can relate to H&F a bit more because they've got a more local flavour. I'll continue to listen with great interest. You know what would be some really good radio? I'd like to hear Mike Bullard on with the boys. Just hope they don't hide under the table from him. How come I can't get Thursday and Fridays podcast on iTunes??? I'll have to go a different route for now! Usually I download on iPhone!! Thursday's podcast was never added to iTunes for reasons only Apple knows. Our XML file was updated... that's at http://www.humbleandfredradio.com/podcast.xml. Freddie got a little nervous and put the wrong date on the podcast for today... so I'm going to peek at the XML file now. The frequency at which iTunes refreshes seems to be a mystery.